I prepared this summary and compilation of quotations and links from various books and web sites I came across to improve my understanding of this historical work, and to share these materials with other interested viewers in a convenient advertisement-free format. This summary contains what I hope to be fair-use quotations from other websites, all of which are fully referenced and credited—the viewer is advised to view the original materials by following the links to see the actual pages of origin shown. If an author objects to any such quotation, please advise and I will remove it. Beowulf was written in Old English (also called Anglo-Saxon) [by an Angle according to Baugh 1948] between 650 and 1000 in what is now termed England. It recalls a golden era of valor and fighting prowess by describing the adventures of a great Scandinavian warrior of the sixth century from Southern Sweden. He comes to the aid of the beleaguered Danes, saving them from the ravages of the monster Grendel and his mother. In old age, and after many years of rule in his own country, Beowulf heroically slays a dragon but dies in the process. Prominent themes in Beowulf include the necessity for unswerving loyalty to one's king, the role of God versus fate, and the prevalence of intertribal violence and vendettas. The text of Beowulf exists in only one manuscript (first page depicted below). "Beowulf is the oldest surviving epic in British literature. Beowulf exists in only one manuscript. This copy survived both the wholesale destruction of religious artifacts during the dissolution of the monasteries by Henry VIII and a disastrous fire which destroyed the library of Sir Robert Bruce Cotton (1571-1631). The poem still bears the scars of the fire, visible at the upper left corner of the photograph. The Beowulf manuscript is now housed in the British Library, London." (Quoted from Beowulf). The manuscript gets it full name from the position where it was filed in Cotton's library, namely under the bust of Roman Emperor Aulus Vitellius shelf A, position 15— hence the name Cotton Vitellius A. xv. It is a composite manuscript consisting of two codices (the Southwick Codex and the Nowell Codex) (Paraphrased from Beowulf in Hypertext). The anonymous poet ("Poet") begins with a description "of days gone by", of the Danes (also called the Shieldings, Spear-Danes, Ring-Danes, West-Danes, Bright-Danes, South-Danes, Ingwins, etc. ), a clan descended from the great warrior-king and former foundling Shield Sheafson (Scyld Scefing) and also from Ing. At Shield's death, he was placed in a boat and put to sea. His son Beow took over, then Beow's son Halfdane (Healfdene), then Halfdane's son Hrothgar (Hroðgar). Hrothgar had brothers Heorogar and Halga, and his sistier married the Swede Onela. Like Shield, Hrothgar was successful in war, and had a great mead-hall built named Heorot (Heort), where he held court, doling out rings, neck chains, and other bounty. The celebrations and carousing in the new hall provoked envy in Grendel, a grim demon descended from Cain and condemned to be an outcast, living mysteriously in the nearby fen and heath. On his first attack, he hauled off 30 men to his lair, and gruesomely killed more the next night. The men took to sleeping in huts away from the hall, and for 12 years their king lived in humiliation as Grendel took over the hall and continued his ambushes. The plight of the kingdom became known far and wide. In their distress, the Danes turned to the worship of idols at heathen shrines and called to the devil, forgetting God. In Southern Sweden, the Geats are led by King Hygelac (Higelac, son of Hrethel and grandson of Swerting). His thane (þegn) Beowulf, son of the warrior Ecgtheow (Ecgþeow, who married Hrethel's daughter) is a young man of great prowess eager to prove himself and win renown. He resolves to sail as leader of 14 other men to the aid of the Danes—the voyage takes one day [perhaps to the island of Sjælland]. The Danish lookout on the coast challenges the warriors, but Beowulf persuades him as to their good intentions. Beowulf is introduced to Hrothgar, who remembers him when Beowulf was a child, and also recalls his father. Beowulf boasts of his awesome strength and triumphs in war, and announces he will fight Grendel in single combat and without sword or shield. He leaves his life in the hands of God and fate (wyrd). Hrothgar recalls a feud Ecgtheow was once involved in—Ecgtheow had killed the Wulfing Heatholaf and swore allegiance to Hrothgar after Hrothgar aided him by paying off the Wulfings. They begin a feast with mead. The minstrel (scop, court poet) sings. But Unferth (a Dane, son of Ecglaf) challenges Beowulf by recounting his version of a swimming contest he had heard about between Breca and Beowulf, claiming Breca outswam him when he reached the Heathoreams. But Beowulf rebukes Unferth and recounts how he swam with swords and in armor for 5 nights, and had to kill 9 sea monsters before he landed on the coast of Finland! [c. 150-200 km away]. Hrothgar's gracious queen Wealhtheow arrives, and Beowulf delivers another boast. Hrothgar leaves Heorot to Beowulf and wishes him well as he goes to lie with his wife. Beowulf announces he will not use his sword or other weapons. Soon that night, the shadow-stalker Grendel arrives in the hall from the moors. He mauls and kills a warrior (Handscio), eating parts of him. But Beowulf grips his talon/claw and prevents his escape. They struggle together, smashing mead-benches—Grendel screams. His men discover that their swords are useless because Grendel had conjured their edges to be ineffective. Beowulf keeps Grendel locked in a tight hold until Grendel's right arm is ripped off. He escapes, mortally wounded, to die eventually in the fen. Beowulf displays the clawed and scaled hand, arm, and shoulder as a trophy for all to see. In the morning, men gather from afar to celebrate the victory. Grendel has dived back to his marsh-den and died, his evil soul claimed by hell. Word spreads. The war-band [of Danes?] celebrates with warrior games on horseback. Hrothgar's minstrel recites a poem about Sigemund (the Frankish hero, son of Waels, uncle of Fitela, father of Sigfrid/Sigurd). Sigemund killed with his sword a dragon that was guarding a treasure hoard. He brought back the treasure by boat and flourished, in contrast to the previous king, King Heremod, who was killed in Jutland. Hrothgar arrives from the women's quarters, thanking God for sending Beowulf for his deliverance. He adopts Beowulf "in my heart as a dear son" and promises him generous rewards. Beowulf gives a more complete account of the fight. The hall is repaired. The Poet observes "[we] must make our way to a destination already ordained..." The king enters the hall and the many men assembled, including his nephew Hrothulf (son of Halga), enjoy many rounds of mead. Hrothgar gives Beowulf valuable gifts—gold, breast-mail, a helmet, a sword, and 8 horses—and rewards the other men as well. The Poet extols understanding and willingness to endure. The tale over, the queen plays the gracious hostess and expresses her gratitude for the Geats. But she also reminds the Danes to show loyalty to their own kith and kin, including Hrothulf (son of Halga), and her own sons Hrethric and Hrothmund. More drinking, and more gifts for Beowulf, including a torque he will later give to King Hygelac. The Poet recalls a future event, when Hygelac will fall dead at the hands of the Franks after provoking a feud with the Frisians. Queen Wealhtheow toasts Beowulf and asks him to provide guidance to her own sons. At last the men retire to sleep on the floor of the hall. Grendel's mother arrives in the night to avenge her son's death—she is another of Cain's misbegotten descendants. She kills and takes away Aeschere, one of Hrothgar's most valued advisers, along with her son's severed arm. Hrothgar laments the loss of his adviser and of the return of evil. The Poet recalls tales of huge marauders haunting the moors, one in the shape of a woman. There is a mere (expanse of standing water, or lake) whose bottom has never been sounded, and which is terrifying to the local animals. Beowulf promises to avenge Hrothgar's loss: "It is always better to avenge dear ones than to indulge in mourning." He launches an expedition to the mere/lake, following the trail left from the dragging of Aeschere's body. They encounter Aeschere's head at the foot of a cliff near the mere. The water of the mere is infested with sea-dragons and reptiles, one of which the men shoot. Beowulf again prepares for fighting, this time putting on his armor. Unferth gives him an ancient sword named Hrunting—he is now subdued by fear of the treacherous water. Beowulf asks Hrothgar to care for his comrades if he is killed, and to send the treasures he has won to Hygelac. He then dives into the lake, taking nearly a day to reach the bottom! Grendel's mother catches him in her grip, but his chain-mail protects him. She takes him to her "court", where more sea-beasts attack him. He enters her hall (where the water is apparently kept out), and discovers the sword Hrunting cannot harm her. As he is forced to fight her bare handed, she tries but fails to stab him through the chain-mail. He spies a great sword from the days of the giants, and uses it to sever her neck. Suddenly the place brightens, and in a fury he beheads the corpse of Grendel lying nearby. Above water, the men fear the worst as they see the surface churn and blood upwell. Beowulf's great sword starts to melt from the scalding blood. He decides to leave the treasures there, and returns to the surface, swimming to shore only with Grendel's head and the hilt of the jewel-encrusted but melted sword (and presumably also with Hrunting). The other water beasts have disappeared. The men hoist the huge head onto a spear, which they take back to display at Heorot. There, Beowulf praises God for providing the sword when he needed it. He recounts how the great sword melted, and presents the hilt to Hrothgar. Hrothgar marvels at the intricate inscriptions and runes on the hilt, praises Beowulf, but also imparts well-intentioned cautionary words of wisdom. He compares Beowulf to King Heremod (as had the scop earlier, line 901) in discussing the dangers of power. Heremod had brought only death and destruction to the Danes after he grew bloodthirsty and stingy with his gifts. He reminds Beowulf that God has favored the Danes, but men in power who hoard their goods can still be cut down. Avoid pride, because strength fades quickly, death arrives all too soon, and fortunes reverse. A banquet is set, and soon the men retire. In the morning, the Geats are eager to depart. Beowulf considerately returns Hrunting to Unferth. Beowulf bids goodbye to Hrothgar, again pledging his support, and invites Hethric, one of Hrothgar's sons, to visit the Geat court. Hrothgar pledges a pact of friendship between the Danes and the Geats, and suggests Beowulf would be a worthy successor to King Hygelac. He gives Beowulf even more gifts, and weeps with foreboding that they will never meet again. The Geats return to the shore in high spirits, greet the lookout, and sail away. They reach the young King Hygelac's magnificent stronghold in Geatland, where he lives with Queen Hygd, daughter of Hgereth. Beowulf arrives at Hygelac's hall. Hygelac's thane Eofor has killed King Ongentheow of Sweden (the tribe to the North; he is father of Ohthere). Hygelac and Hygd greet the returning warriors, and ask to hear their tale. Beowulf recounts their adventures and mentions how the King's daughter Freawaru served them ale. She is betrothed to Ingeld, King of the Heathobards. He predicts grim consequences when the Danes will later attend that wedding, suggesting the Heathobards will be stirred to avenge past looting of their treasures by the Danes and the slaying of Wethergeld [a Heathobard?]. One of Freawaru's retainers will be slain. Beowulf predicts therefore that the peace pact between the Danes and the Heathobards will be short-lived. He also tells of Grendel's attacks, etc. Grendel had tried to put him in his pouch of dragon skins! He recounts the rewards and feasting, tells of Grendel's mother, and generously presents the gifts he received to Hygelac. The war-gear had belonged to Hrothgar's deceased older brother King Heorogar. He also gives Hygd the torque along with other gifts. Hygelac extols Beowulf's virtues and grants him treasures, land, hides, a sword, etc. In later years, Hygelac falls in battle against the Shylfings (Scilfingas, same as the Swedes?) in Friesland—Beowulf escapes from this battle by swimming away with 30 battle-dresses! Hygd does not have confidence in her son Heardred and offers the throne to Beowulf. But he refuses to displace Heardred, whom he honorably supports. However, the sons of the Swedish king Ohthere, Eanmund and Eadgils, after rebelling against their own king, arrive in Geatland and receive the hospitality of Heardred. This leads to Heardred being killed (apparently by Onela the Swede, brother of Ohthere). Beowulf avenges this killing by killing Onela. Beowulf thus comes at last to rule as king, for 50 years. But then a dragon in a cave guarding an ancient treasure hoard is provoked to wrath by an accidental intruder, who runs off with a goblet. The treasure had been buried in a stone-roofed barrow (earth-house) by the last survivor of a forgotten race 1000 years ago. The Poet recalls the sad words of this mournful lonely man. Eventually, a dragon had chanced upon the barrow and took up residence in it for 3 centuries. But the theft has stirred it to anger. At night, he emerges and begins to wreak havoc on the Geats, scorching the land and their buildings with his fiery breath, even the throne-room. King Beowulf worries that he has displeased God somehow. He orders that an iron shield be made. Courageously, he resolves to fight the dragon. He takes 11 men, and the slave who found the goblet is forced to join them as their guide. Beowulf, as he surveys the barrow (under Earnaness), is "sad at heart, unsettled yet ready, sensing his death. His fate hovered near, unknowable but certain..." He speaks to his men of his many war experiences and muses on events of his life. As a boy, he had been treated as well by King Hrethel as Hrethel had treated his own sons Herebeald, Haethcyn, and Hygelac. Haethcyn had accidentally killed his older brother Herebeald while hunting, and Beowulf recalls Hrethel's inconsolable mourning for his son. Soon Hrethel died, unable to bear his son's death, or to punish Haethcyn for causing it. His death led to a feud between the Swedes (Ongentheow's sons Ohthere and Onela) and the Geats. Haethcyn was killed by Ongentheow at Ravenswood, and Hygelac's thane Eofor killed Ongentheow (and received Hygelac's daughter in marriage presumably in reward). Beowulf received treasures from Hygelac and served him nobly as his chief warrior. He had killed Dayraven the Frank, who fought for the Frisians. Beowulf boasts that he will pursue this his last fight for the glory of winning or to the death. He will use weapons this time, unlike when he fought Grendel, knowing of the dragon's fire and venom. He will leave the outcome to fate (wyrd). He asks his men at arms to stay behind and let him fight alone, and descends from the crag to the barrow. He angrily challenges the dragon, who sends forth a burst of flames which is nearly overwhelming. They fight, and Beowulf finds his sword cannot cut through the dragon's scales. His men turn and run for the safety of the woods. But one youth stays to help Beowulf, Wiglaf, son of Weohstan, a Shylfing warrior who had lived among the Waegmundings. Wiglaf's sword once belonged to his father Weohstan, who killed Eanmund son of Ohthere (Weohstan nevertheless was honored by Onela). Wiglaf berates the other men who have fled for their failure to support their king. He joins Beowulf in fighting the dragon. Beowulf using his great strength breaks his sword Naegling. The dragon sinks his fangs into Beowulf's neck. Wiglaf stabs his sword into the dragon's belly, and Beowulf at last kills it with his knife. Beowulf knows he is dying from the venom. He thinks back on his life. He asks Wiglaf to go and inspect the treasure inside the barrow and bring some to him (his motives are unselfish). Upon his return, Beowulf gives thanks to God for being able to behold the treasure, since he now knows he is leaving his people well endowed. He asks that a barrow be built to honor him on a headland at Hronesness. He gives his collar (and the kingship?) to Wiglaf, says Wiglaf is the last of the Waegmundings, and dies. The other men return, and Wiglaf rebukes them again. He predicts that the weakened Geats will be dispossessed by their enemies. A rider or messenger bears news of the king's death to the people. War is looming with the Franks (Merovingians) and the Frisians, the latter still angry since Hygelac sailed against them and the Hetware in Friesland. The messenger also fears retaliatory attacks from the Swedes, and recounts more about Ongentheow's last battle, how Hygelac had relieved the Geats when besieged by the Swedes. Wulf wounded King Ongentheow and Wulf's brother Eofor killed him. Beowulf's body is to be burned in a pyre along with much gold. A tragic future awaits the Geats. Men view the bodies of Beowulf and the great 50-foot dragon and marvel at the 1000-year old treasure hoard. Wiglaf ponders Beowulf's fate. He tells of Beowulf's wish to have a barrow crown the site of his pyre. They construct a bier to transport the body. Some of the treasure is gathered for the pyre. They pitch the dragon over the cliff, and transport Beowulf's body to Hronesness. There they build a great funeral pyre. A Geat woman laments—she has great fears of rampaging enemies, enslavement, abasement. The people work for 10 days to construct the barrow on the headland—it will serve as a marker for sailors as well as the hero's memorial, and will contain the treasures consumed in the fire. Warriors encircle the barrow, chanting dirges, extolling the virtues of their deceased king. 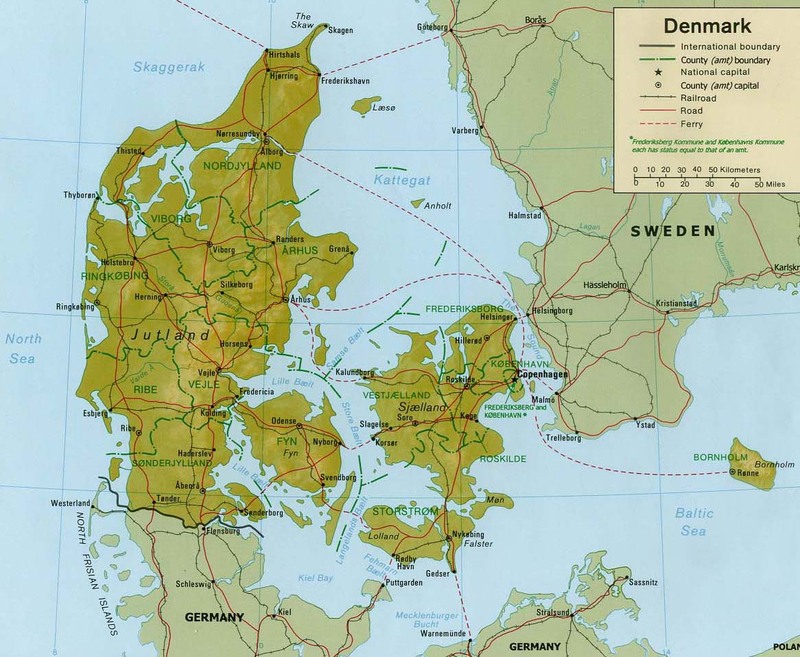 "The Geats were Beowulf's clan - a seafaring tribe residing in the south of Sweden. As the poem suggests, the Geats appear to have been conquered and disappeared into history. The seafaring Geats appear to be the invading `Danes' of whom Gregory of Tours writes concerning an attack by Chlochilaicus (Hygelac) against the Franks in 520. Later they were connected to the Gautar people who were eventually subjugated by the Swedes in territory inland of Sweden. Given this history, F.R. Klaeber speculates that Beowulf himself was born in about the year 495. He defeats Grendel and his mother to save Hroðgar's kingdom in 515. Following Hygelac's raid in 520, he eventually becomes king of the Geats when Heardred was killed in 533. Fifty years after that, the poem says that Beowulf is killed by the dragon, but few scholars are willing to commit to any specific date. The Geats are referred to as the Geatas, Guð-Geatas (War-), the Sæ-Geatas (Sea-), and the Weder-Geatas (Weather-)." 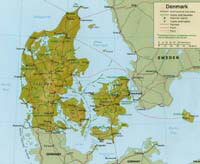 "The Danes were residents of Denmark. Hroðgar's Heorot is likely to have been located on the island of Sjaelland near the present day city of Roskilde. The Scylding line is known through Scandinavian and Anglo-Saxon sources; the Anglo-Saxon king Cnut (1016-1042, a period coincident with the composition of the Beowulf manuscript) is known to have descended from this line. The poem Widsið, with its catalogue of Germanic kings, list Hroðgar and Hroðulf as co-rulers of the Danes at Heorot, and of the marriage arrangement with Ingeld of the Heaðo-Bards. The Danes are referred to as the Dena, Beorht-Dena (Bright-), Gar-Dena (Spear-), Hring-Dena (Ring-, Corselet-), East-Dena, Norð-Dena (North-), Suð-Dena (South-), West-Dena, Scyldings (Sons of Scyld), Ar-Scyldingas (Honour-), Here-Scyldingas (Army-), Sige-Scyldingas (Victory-), Þeod-Scyldingas (People-), and Ingwines (Ing's Friends)." "The Swedes lived in Sweden north of the Vaner and Volter lakes, north of the Geats. Archaeology in Sweden reveals the grave mounds of Ongenþeow who was buried in 510-515, and his grandson Eadgils, buried in 575. These dates correspond with the events described in Beowulf. Known as the Sweon (Swedes), the Scylfingas (Sons of Scylf), Guð-Scylfingas (War-), and Heaðo-Scylfingas (War-)." "The fragment of the Finnsburh poem and the Finnsburh reference in Beowulf somewhat overlap. The song sung during the celebration at Heorot follows the events described in the poem. This overlap in narratives is one reason why these two works are studied together. The original manuscript of the Fight at Finnsburh is now lost, but it is known to have existed on a single leaf in the Lambeth Palace Library, page 489. The text was published in a transcription made by George Hikes in 1705. The Fight at Finnsburh is an example of a typical Germanic `heroic lay' describing warriors' deeds in battle and the speeches of significant warriors during the battle. The poem resembles others of the same genre such as The Battle of Maldon, and is quite different from the epic form of Beowulf. Beowulf is the only poem that associates the parties involved as Danes and Frisians." Does not show simultaneous Old English; includes illustrations. An excellent scholarly site about Beowulf. Includes the text in Old English and in modern translation, genealogy character diagrams, plot summary alongside the translation, history of The Beowulf Manuscript and who wrote it, Christian elements in the poem, etc. (many sections are quoted above) This site has annoying ads however. The great document started by King Ælfred [Alfred, 871-899] . This translation to modern English is primarily that of Rev. James Ingram (London, 1823). The date of Beowulf, debated for almost a century, is a small question with large consequences. Does the poem provide us with an accurate if idealized view of early Germanic Culture? Or is it rather a creature of nostalgia and imagination, born of the desire of a later age to create for itself a glorious past? If we cannot decide when, between the fifth and the eleventh centuries, the poem was composed, we cannot distinguish what elements in Beowulf belong properly to the history of material culture, to the history of myth and legend, to political history, or to the development of the English literary imagination. The quickest and easiest assumption about the origins of the poem is that it was an oral poem that was eventually transcribed and has since been passed down in the form of the manuscript. Scholars have presumed to study the poem as if it were Classical, and find much difficulty in the non-continuous narrative and the unfamiliar form. Allen Frantzen, in `Writing the Unreadable Beowulf', is uncomfortable with the way a tradition may be imposed by `canonical' editions such as the Norton Anthology; he is also critical of the quest to find a single author of the `pure' poem. Instead, he is looking for the gaps in the text that indicate to him that it had been constantly rewritten to suit the culture of that time. In effect, there may have been so many authors spanned the six centuries that the authorship remains in question; the rewriting of Beowulf continues in the postmodern period. Seamus Heaney's poetic translation is the latest." 1. The poem was composed by a Christian, who had heard the stories and used them as the material of the work. 2. The poem was composed by a Christian, who used old lays as his material. 3. The poem was composed by a heathen, either from old stories or from old lays. At a later date it was revised by a Christian, to whom we owe the Christian allusions found in it. Unfortunately, without records of those old stories or lays upon Beowulf may have been based, we cannot be sure which one of these is true. 1. Passages containing biblical history or allusions to some scriptural narrative. These include references to Cain, Abel, and the flood. 2. Passages containing expressions in disapproval of heathen ideas or heathen worship. There is one of these in the introduction to the Danes near the beginning of the poem. 3. Passages containing references to doctrines distinctively Christian: references to heaven, hell, and the day of judgement. He finds ten cases. 4. Incidental allusions to the Christian God. He finds some 53 cases. Looking closely at these elements, Blackburn speculates on how easily one can refigure them to be pagan by the replacement of a word or omission of a phrase, thus seeing how scribes may have done so in the past. Reversing the Christianizing process, he concludes that at some point, Beowulf may have been an entirely pagan text. Others choose to examine how well the Christian elements fit together and form such an integral part of the poem. Unlike other poems, such as The Wanderer or The Seafarer, in which it appears to many editors that the Christian exhortations appear [to early critics] to have been appended to the otherwise pagan poems, Beowulf has Christian elements throughout the narrative. Marie Padgett Hamilton, in her essay The Religious Principle, argues that the poem is consistent with Augustine's model of God's grace: that a society of the Righteous live together with one of the Reprobate on Earth. This principle and the ways in which they are presented in the poem, Hamilton argues, would have been familiar to the English at that time. Beowulf's concern over his honour and wyrd — his fate — are concerns about Providence or Divine will. In wyrd, we can see the beginnings of a change in what was a pagan concept and its acceptance of a new Christianized meaning. On the other side, Grendel is equated to the race of Cain, and the dragon to be an incarnation of the devil. Again, these characterizations of the monstrous and evil were well known to the English. What is clear about the religious colouring of Beowulf is that while it is clearly Christian, there is little Christian doctrine. References are only to the Old Testament narratives and concepts easily refigured from their pagan equivalents. It seems that Beowulf tells of a period in the midst of religious change being neither entirely pagan, nor fully Christian [or to be an attempt to integrate Germanic history into an old testament time frame]." Click here for an .MP3 file of lines 1 to 52 of the Prologue only, read by Peter S. Baker, Professor of English, U. Virginia. (This file was assembled by MCM from consecutive shorter-duration .WAV files obtained from Professor Baker's website, and is provided here with his permission.). Real Audio files—click on the large letters of the displayed file—not always working, sound is a little murky. Anglo-Saxon living history society 400-900 A.D—History, artifacts, clothing, poetry, etc. (Link formerly found at http://www.angelcynn.org.uk/). Albert C Baugh, Thomas Cable. A History of the English Language 3rd Ed., Prenctice-Hall 1978. Abert C. Baugh, Ed. A Literary History of England. Appleton-Century-Crofts 1948. Bibliography of Scholarly Works on Beowulf published from 1979 through 1994 (link no longer available).